The internet has invented countless rumors, conspiracy theories and urban legends. But some of the more disturbing are what’s known as “Creepypastas.” Creepypastas are stories that are usually violent and disturbing that circulate on the Internet. They are often associated with videos, pictures and even video games. The term “creepypasta” is a mutation of the term “copypasta”: a short, readily available piece of text that is easily copied and pasted into a text field. “Copypasta” being a perverted version of “copy/paste”, and in the original sense of copypasta commonly referring to presumably initially sincere text (e.g. blog or forum post) perceived as undesirable or otherwise preposterous to then be copied and pasted as a form of trolling. 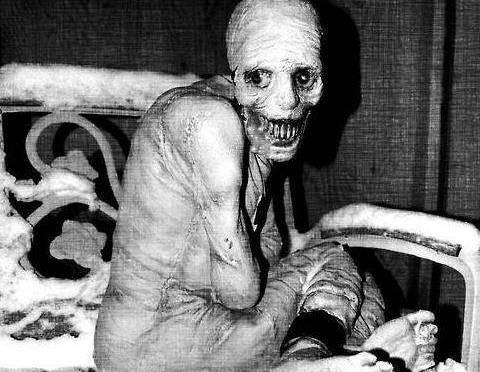 Most creepypastas are simply stories that have mutated into urban legends. However, there are some of these stories that have not been dispelled and may very well be true. Here are my top ten creepiest of the creepypastas! 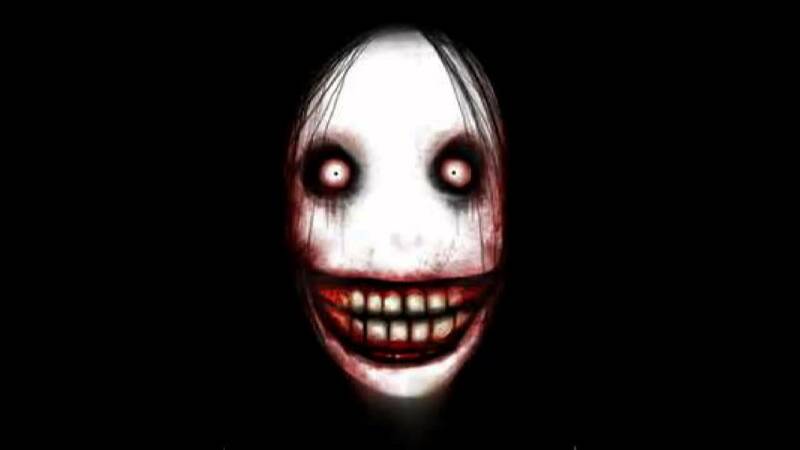 This creepypasta is a video showing a supposed Youtube account created by the devil himself! When you search “username 666″on Youtube, you get to the page of an account that has been suspended. However, if you refresh the page enough times, bizarre and unsettling things begin to happen. You can see for yourself what happens in the video below–if you dare! Suicide Mouse is a lost episode creepypasta and is widely seen as the forefather of the entire lost episode genre. This story is based off of an old, unseen Mickey Mouse episode from the 1930s. A few years ago, Disney released a DVD collection of these old Mickey Mouse cartoons–except for one. “After it cut to black, it stayed like that until the 6th minute, before going back into Mickey walking. The sound was different this time. It was a murmur. It wasn’t a language, but more like a gurgled cry. As the noise got more indistinguishable and loud over the next minute, the picture began to get weird. The sidewalk started to go in directions that seemed impossible based on the physics of Mickeys walking. And the dismal face of the mouse was slowly curling into a smirk. On the 7th minute, the murmur turned into a bloodcurdling scream (the kind of scream painful to hear) and the picture was getting more obscure. Colors were happening that shouldn’t have been possible at the time. Mickey’s face began to fall apart. his eyes rolled on the bottom of his chin like two marbles in a fishbowl, and his curled smile was pointing upward on the left side of his face. This happened for about 30 seconds, and whatever was in that remaining 30 seconds I haven’t been able to get a sliver of information about. From a security guard working under me who was making rounds outside of that room, I was told that after the last frame, the employee stumbled out of the room with pale skin saying “Real suffering is not known” seven times before speedily taking the guard’s pistol and offing himself on the spot. The thing I could get out of Leonard Maltin was that the last frame was a piece of Russian text that roughly said “the sights of hell bring its viewers back in”. As far as I know, no one else has seen it, but there have been dozens of attempts at getting the file on rapidshare by employees inside the studios, all of whom have been promptly terminated of their jobs. Whether it got online or not is up for debate, but if rumors serve me right, it’s online somewhere under “suicidemouse.avi”. If you ever find a copy of the film, I want you to never view it, and to contact me by phone immediately, regardless of the time. When a Disney Death is covered up as well as this, it means this has to be something huge. I’ve yet to find a copy of this, but it is out there. I know it. Candle Cove is supposedly a low-budget children show from the early ’70s. As the story goes, a discussion started on a forum talking about childhood memories. The topic of Candle Cove comes up and several people post their memories of this obscure show. The program was about a little girl who talked with marionette pirates and a very disturbing character called “The Skin Taker” who wore a clothing and hat made out of the skin of children. In one episode, the viewer hears everyone on the screen crying and screaming. Where it becomes really bizarre is when another poster on the forum talked with their parent about the show and the parent replied that they were watching static. This is one of those stories that somehow elevated itself to being plausibly real. Decide for yourself and watch the clip of Candle Cove below. In 1983, a team of deeply pious scientists conducted a radical experiment in an undisclosed facility. The scientists had theorized that a human without access to any senses or ways to perceive stimuli would be able to perceive the presence of God. They believed that the five senses clouded our awareness of eternity, and without them, a human could actually establish contact with God by thought. An elderly man who claimed to have “nothing left to live for” was the only test subject to volunteer. To purge him of all his senses, the scientists performed a complex operation in which every sensory nerve connection to the brain was surgically severed. * Although the test subject retained full muscular function, he could not see, hear, taste, smell, or feel. With no possible way to communicate with or even sense the outside world, he was alone with his thoughts. Scientists monitored him as he spoke aloud about his state of mind in jumbled, slurred sentences that he couldn’t even hear. After four days, the man claimed to be hearing hushed, unintelligible voices in his head. Assuming it was an onset of psychosis, the scientists paid little attention to the man’s concerns. Two days later, the man cried that he could hear his dead wife speaking with him, and even more, he could communicate back. The scientists were intrigued, but were not convinced until the subject started naming dead relatives of the scientists. He repeated personal information to the scientists that only their dead spouses and parents would have known. At this point, a sizable portion of scientists left the study. After a week of conversing with the deceased through his thoughts, the subject became distressed, saying the voices were overwhelming. In every waking moment, his consciousness was bombarded by hundreds of voices that refused to leave him alone. He frequently threw himself against the wall, trying to elicit a pain response. He begged the scientists for sedatives, so he could escape the voices by sleeping. This tactic worked for three days, until he started having severe night terrors. The subject repeatedly said that he could see and hear the deceased in his dreams. Only a day later, the subject began to scream and claw at his non-functional eyes, hoping to sense something in the physical world. The hysterical subject now said the voices of the dead were deafening and hostile, speaking of hell and the end of the world. At one point, he yelled “No heaven, no forgiveness” for five hours straight. He continually begged to be killed, but the scientists were convinced that he was close to establishing contact with God. After another day, the subject could no longer form coherent sentences. Seemingly mad, he started to bite off chunks of flesh from his arm. The scientists rushed into the test chamber and restrained him to a table so he could not kill himself. After a few hours of being tied down, the subject halted his struggling and screaming. He stared blankly at the ceiling as tear drops silently streaked across his face. For two weeks, the subject had to be manually rehydrated due to the constant crying. Eventually, he turned his head and, despite his blindness, made focused eye contact with a scientist for the first time in the study. He whispered “I have spoken with God, and He has abandoned us” and his vital signs stopped. There was no apparent cause of death. YouTube will periodically put up the first 20 seconds of the video to quell suspicions, so that people will not go look for the real thing and upload it. The video itself was only viewed by one YouTube staff member, who started screaming after 45 seconds. This man is now under constant sedation and is apparently unable to recall what he saw. The other people who were in the same room as him while he viewed it and turned off the video for him say that all they heard at the time was a high-pitched drilling sound. None of them dared look at the screen. 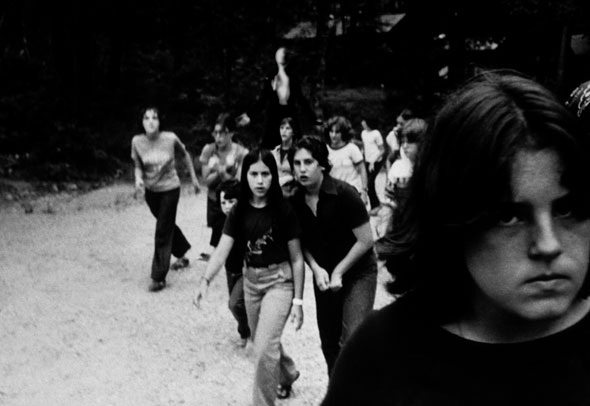 The origins of Slenderman come for various folk legends and myths from around the globe. A tall man with a featureless face is often drawn to children. Presumably, the children become the Slindermans victims in purgatory and are never heard from again. Slenderman wears a black suit and has tenticles that come from his back. He can teleport to your location in an instant, taking you away in the blink of an eye. Slenderman is easily among the most popular of the creepypastas and has spawned stories, video games, artwork and many Halloween costumes. There are some who swear he’s real. What do you think? Jeff the Killer has created a cult following. An insane serial killer that was born from abuse and anger, the story is begging to be visualised on the big screen. “What? What happened to my face?” Jeff said. He rushed out of bed and ran to the bathroom. He looked in the mirror and saw the cause of the distress. His face. It… it’s horrible. His lips were burnt to a deep shade of red. His face was turned into a pure white color, and his hair singed from brown to black. He slowly put his hand to his face. It had a sort of leathery feel to it now. He looked back at his family then back at the mirror. “Yes son,” she said, “Yes you are. L-let me go get daddy, so he can see your face.” She ran into the room and shook Jeff’s dad from his sleep. “Honey, get the gun we…” She stopped as she saw Jeff in the doorway, holding a knife. best face of me ever thanks for showing me now GO TO SLEEP!